Work has begun on demolishing a large complex of flats in Aberystwyth, which was condemned as a ‘dangerous structure’ last year after suffering storm damage. Plas Morolwg, which housed 43 self-contained flats, was built to overlook the dramatic and imposing Aberystwyth harbour. After high winds and heavy rain caused severe damage to the building, residents were evacuated and a full inspection carried out. The results of this inspection showed that mortar of “low quality” had been used in the construction of Plas Morolwg, making the walls inherently unstable and unsafe. In addition, a lack of wall ties had allowed the structure’s walls to be literally “sucked away” by the storm. Magistrates at Aberystwyth’s court heard an application form Ceredigion County Council for a court order that would allow work to proceed to make the building safe. 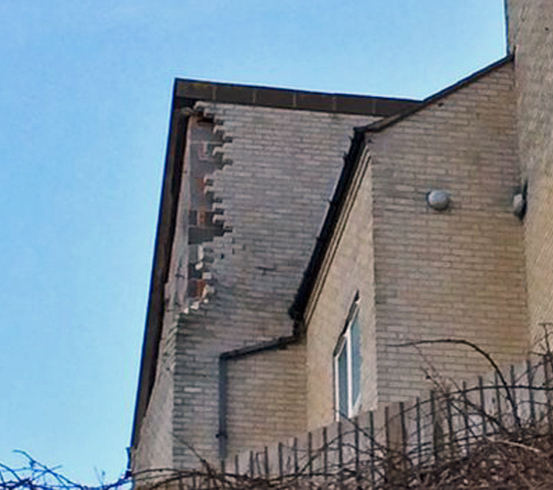 As Plas Morolwg was in such a damaged state, and the mortar holding the brickwork together was so weak, it was decided that wall tie replacement was inappropriate and the only course of action would be to demolish the structure entirely. In a world where space comes at a premium and many people struggle to get on the property ladder, it is sad to see the entirely-avoidable demolition of homes. Using high-quality mortar along with the professional installation of the correct wall ties ensures a strong, safe and lasting structure that will easily withstand rain, wind, sun and snow. Twistfix are specialist suppliers of wall ties and stock a full complement of types, sizes and brands along with all required accessories. From lateral restraint ties to timber frame ties, cavity wall ties to retrofit masonry ties, we can quickly provide the right tie at the right price - our wall tie kits offer even better value for money and include all the necessary components to achieve rapid, professional installation every single time. All of our wall ties are currently on special offer with price reductions of between 11% and 42% - check out the range today! Twistfix - Security through Strength.